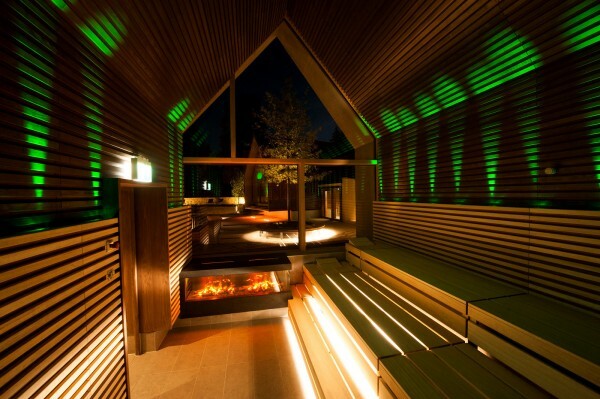 Architectural bureau Jeschke Architektur&Planung submitted spa complex project Jordanbad in Biberach, Germany. 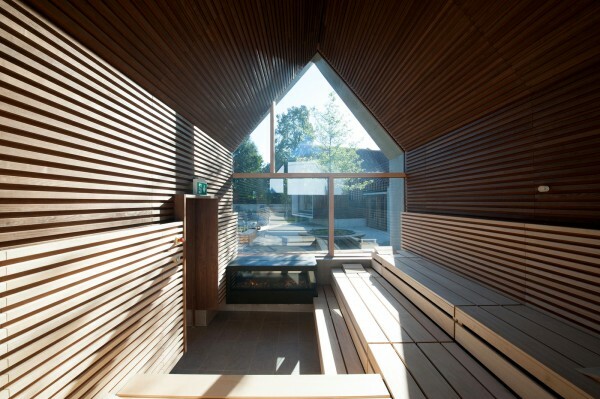 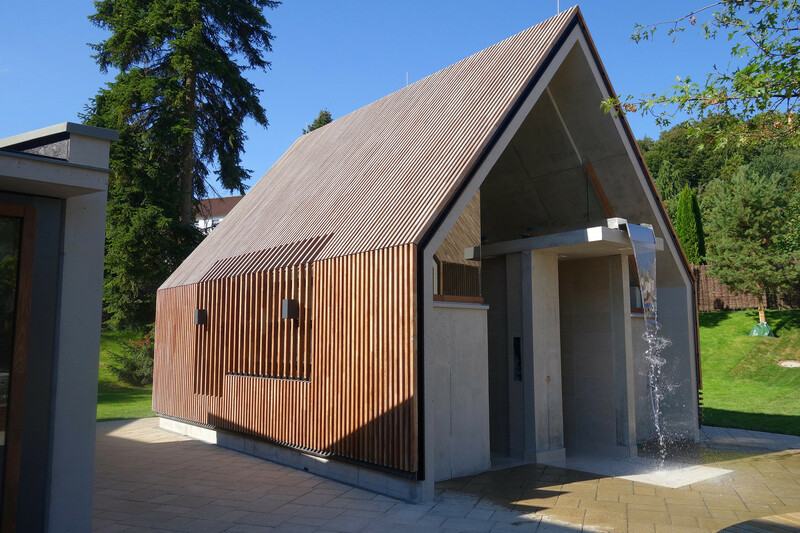 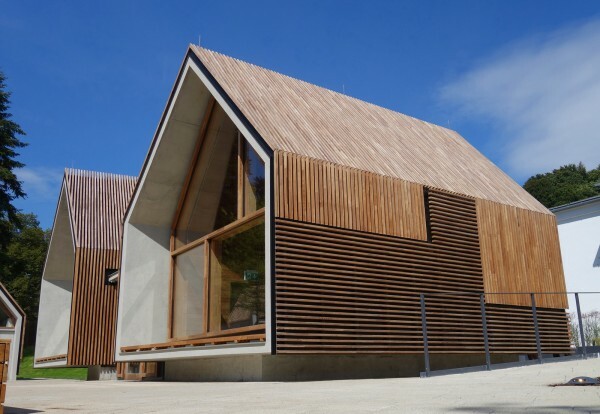 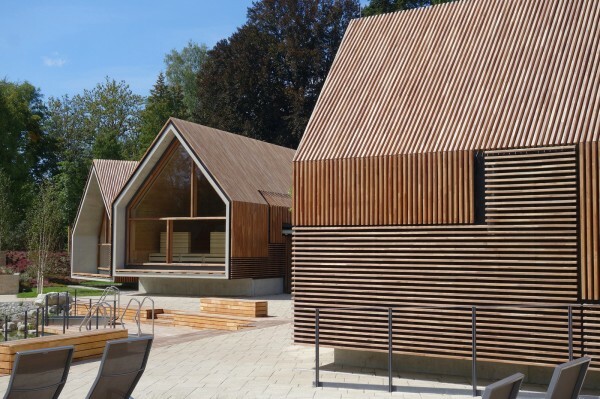 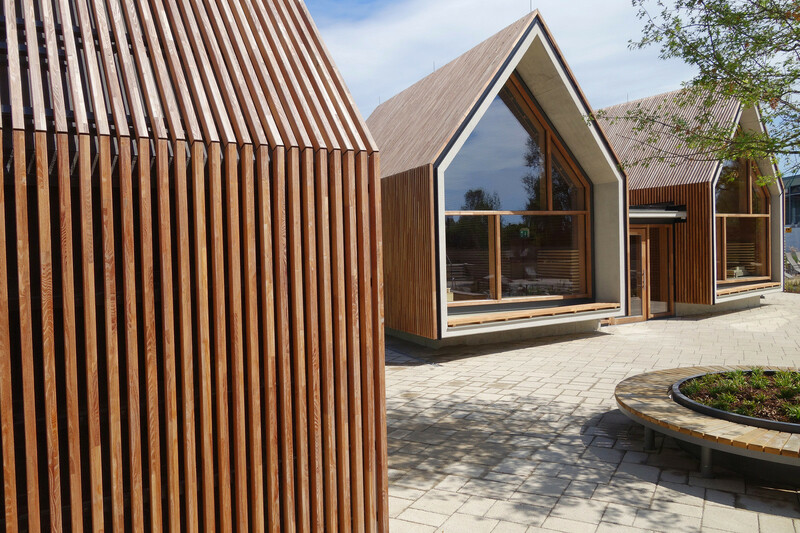 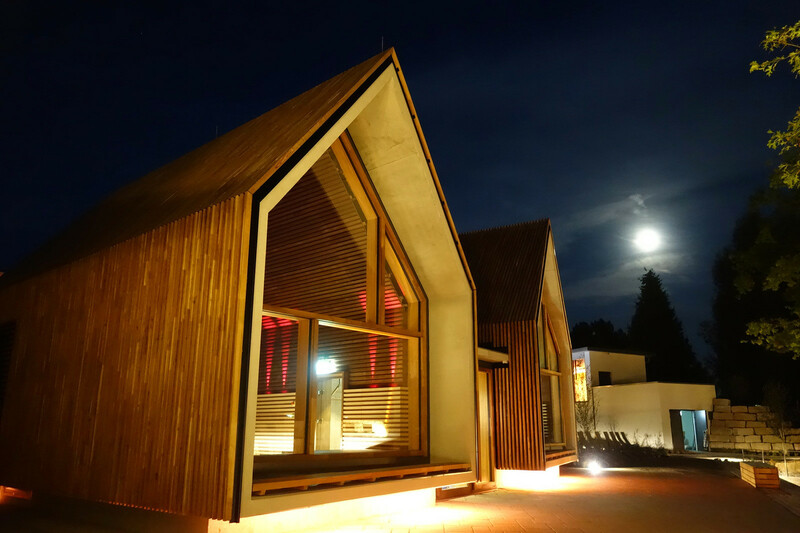 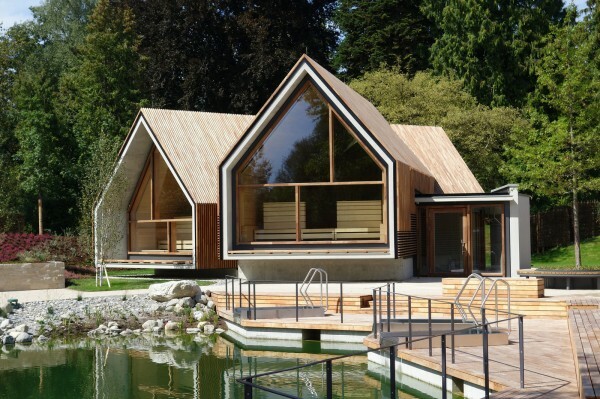 The space of 750 square meters is organized in the form of several individual buildings that were supposed to replace the old sauna to a more sustainable and environmentally friendly, spacious and modern. 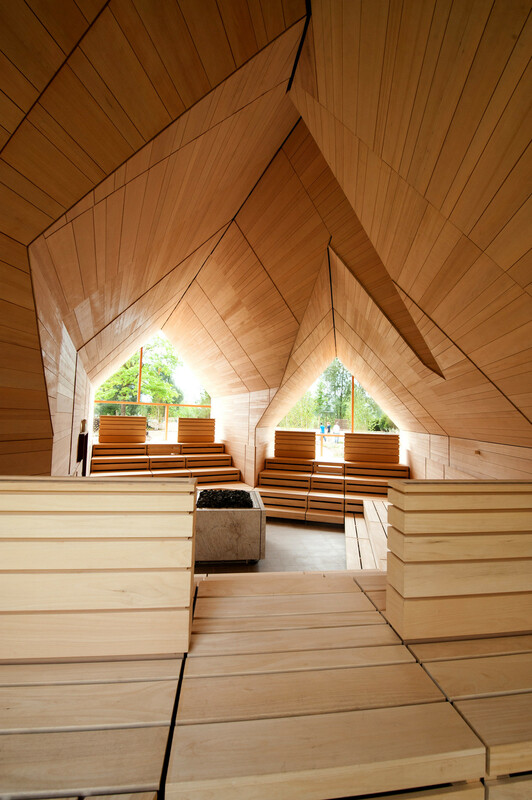 The complex consists of a large sauna on 110-120 people, as well as more compact and herbal sauna with an oven, designed for 25 campers each. Showers are designed in a separate building outside of which even has a large outdoor waterfall. 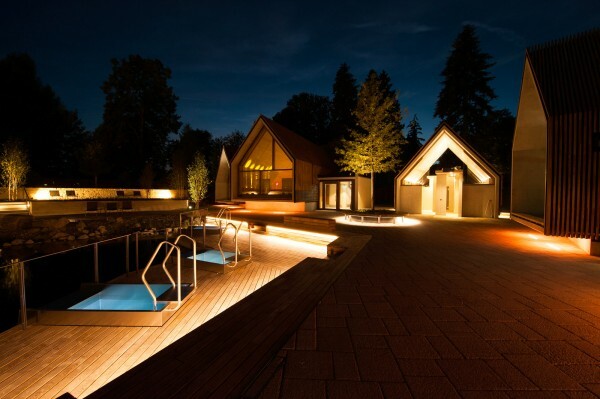 In the center is a pond, a terrace, sun loungers and a Jacuzzi for relaxation. 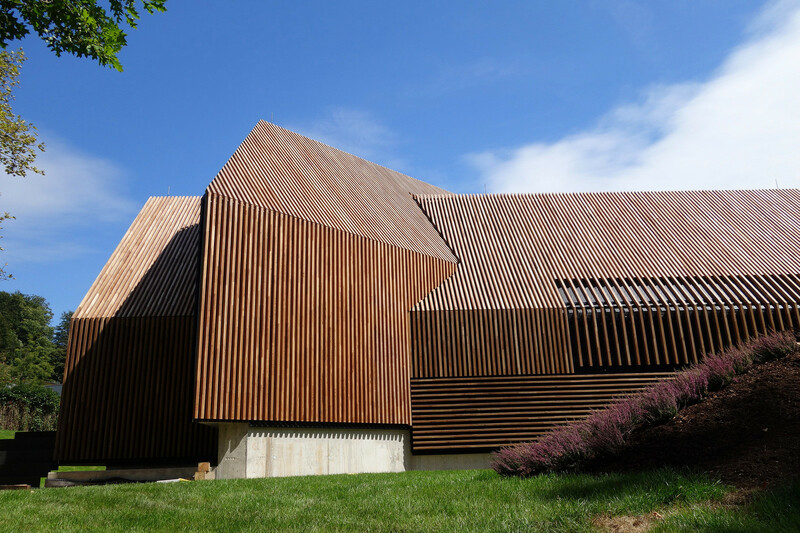 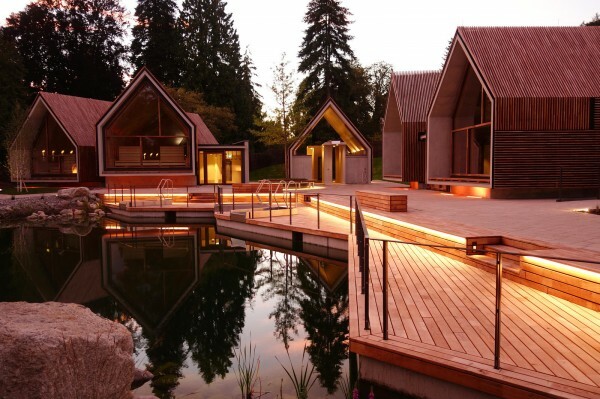 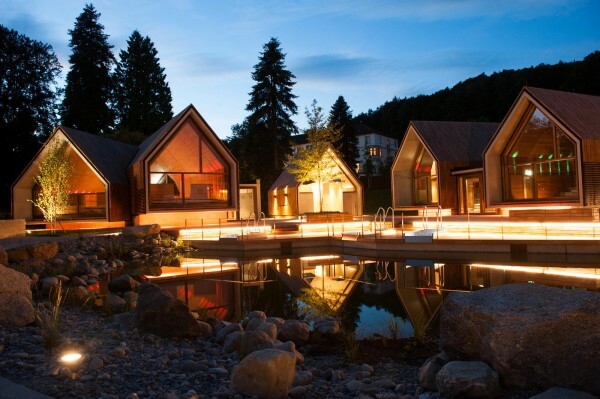 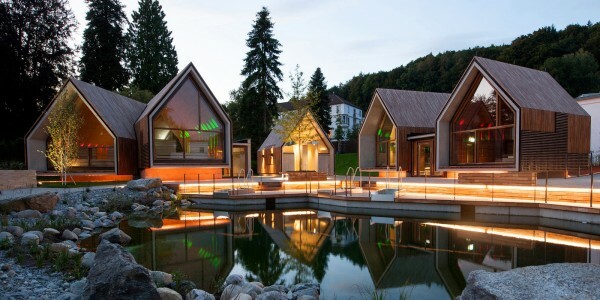 The entire spa complex is created on the basis of a small village with traditional houses and sloping roofs made of concrete and covered with tree inside and outside. From an environmental perspective, the focus of the project is done on energy saving, and energy produced enough to meet the complex needs.